Pictured, Gabriel 'Gabe' Taye, 8 year old student who committed suicide. 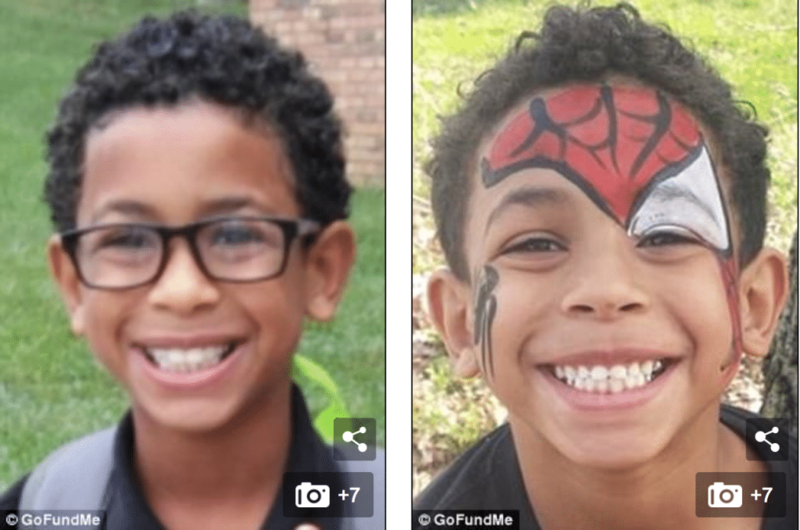 Pictured, Gabriel ‘Gabe’ Taye, 8 year old Carson Elementary School, Hamilton County, Ohio student who committed suicide. 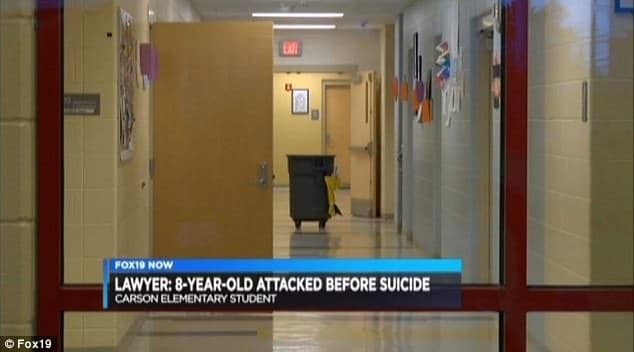 Gabriel Taye an Ohio eight year old boy hangs himself two days after beaten by classmates with Hamilton County authorities set to reopen investigations. 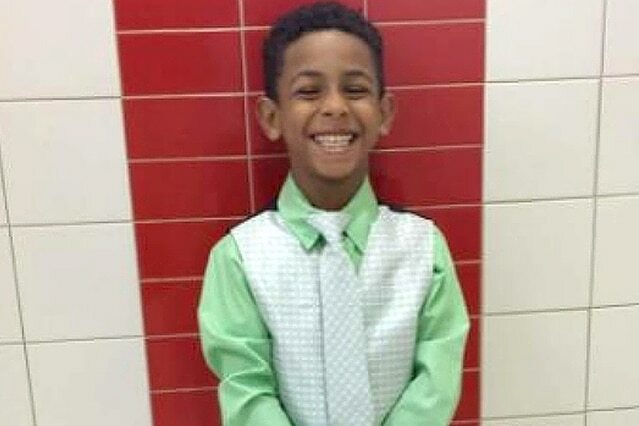 Hamilton County authorities have told they are re opening an investigation into the suicide death of Gabriel ‘Gabe’ Taye, an eight year old Ohio boy who hung himself two days after being beaten unconscious by his classmates. Notice of the boy’s suicide death came after his mother, Cornelia Reynolds found him hanging by his bedroom on January 26. Officials at Carson Elementary School at the time told Reynolds that there had been no evidence of bullying and that the child had ‘simply fainted’. That said, new evidence has cast doubt on that story, with the emergence of video showing the eight year old boy being attacked by his fellow classmates in the school restroom. 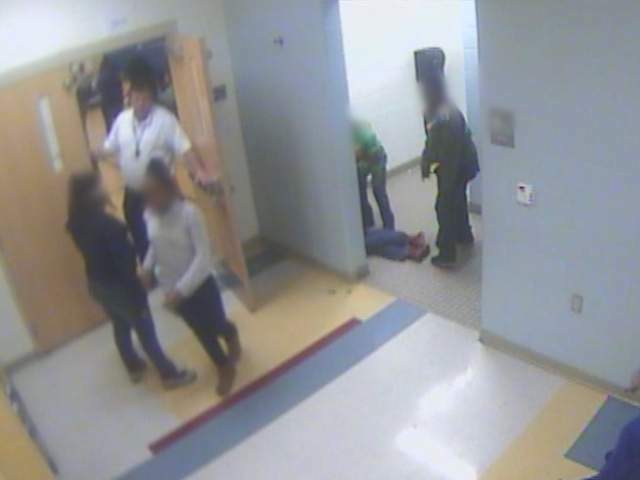 School officials declined overtures to publicly release the video. A report via Cincinnati.com told late Thursday, Cincinnati Public Schools relenting and that they would be now releasing the video, albeit they intended to blur faces of those involved. Watch the full security camera footage from the assault in the video posted by WCPO 9 News. Gabriel Taye video- screen shot. Branch said that was a major concern that there was more violence going on that had never been reported. ‘As we learn things, it’s been hard to share them with (Reynolds) because her response is, ‘if I had only known,” she said. 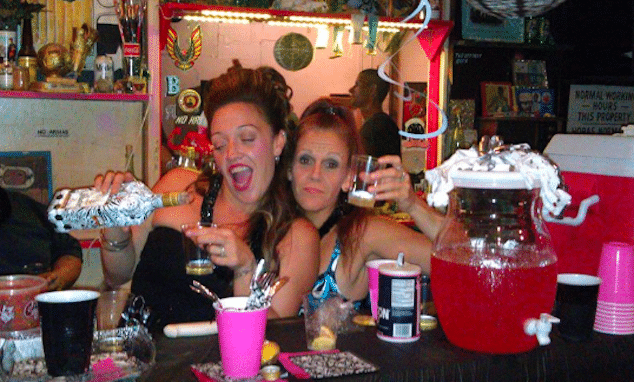 Said the mother, ‘I just feel like enough is not being done, and I feel like stuff is being swept under the rug’. Responding to the new evidence, Cincinnati school officials said police and media had ‘characterized’ events in the video. 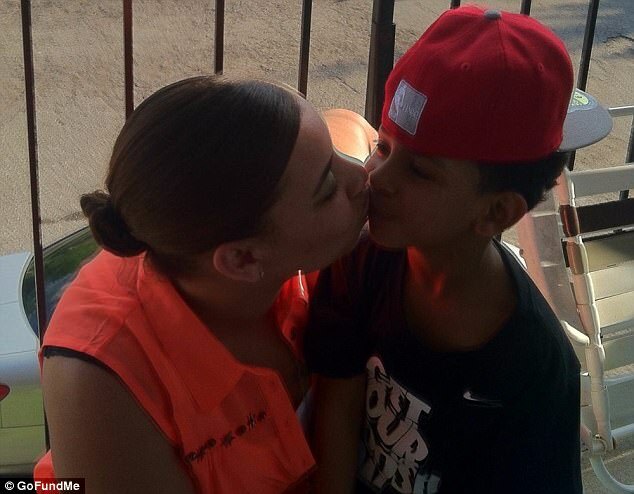 Pictured, Gabriel ‘Gabe’ Taye and mother. A report via the dailymail told of school spokeswoman Janet Walsh previously saying Carson Elementary had zero reports of bullying in the August-December term. On the day of the attack, Gabe had returned home to his family and had vomited that evening. His mom had taken him to the local hospital where they told her it was most likely stomach flu. Gabe was allowed to miss school the next day but returned to school on January 26. His mother found him dead in his bedroom a few hours after returning home. ‘I was in the living room at the kitchen table, and I went back to check on my son and I found him hanging,’ Reynolds told WLWT in January. 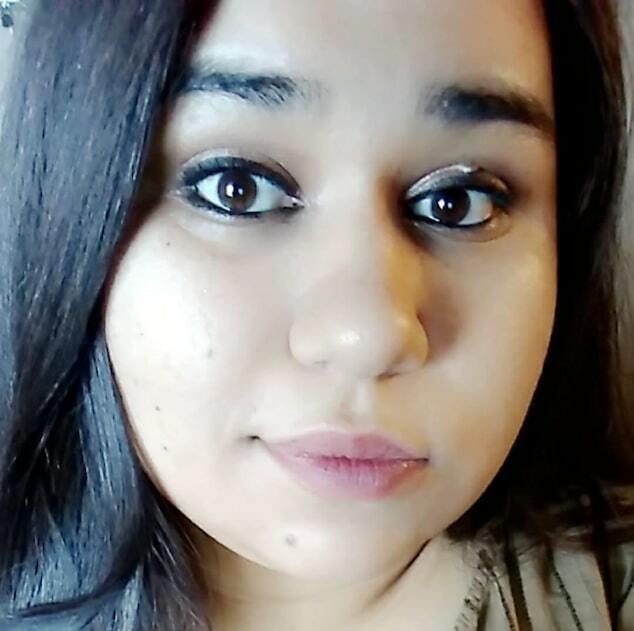 The mother has since called for justice and expressed discontent that no one had informed her that Gabe was being bullied. Reiterated the family lawyer, ‘She’s devastated that her son’s second to last day was so painful for him and that she didn’t know and that she couldn’t protect him’. Pictured, Gabriel Taye’s mother, Cornelia Reynolds. Reynolds said that thinking back there had been a few little clues her son was being picked on. The third grader, a model student, would often visit the nurse’s office and would ask his mom to stay home. She also had a warning for other parents to be alert to signs their children were being bullied, and could even be pushed to suicide. ‘It’s not just happening in high school,’ Reynolds said. ‘It’s in elementary schools’. At the time, officials at Carson Elementary School (pictured) told Gabriel Taye’s mother was no evidence of bullying and that Gabe has simply fainted. ‘I saw some concerning events, and I don’t even have a child at that school,’ he told them. ‘I witnessed behavior that in my belief is bullying and could even rise to the level of criminal assault,’ if not for the young ages of the perpetrators,’ he added in a report. According to the detective, footage showed a boy enter the restroom, and within seconds, other boys fleeing. The aggressor hit another boy in the stomach, ‘sending him to the floor in all fours’ and threatened another. At that point, Gabe arrived and appeared to ‘shake hands’ with the bully before the boy ‘pulled him forward and slammed him into the wall’ knocking him out, Branch added. 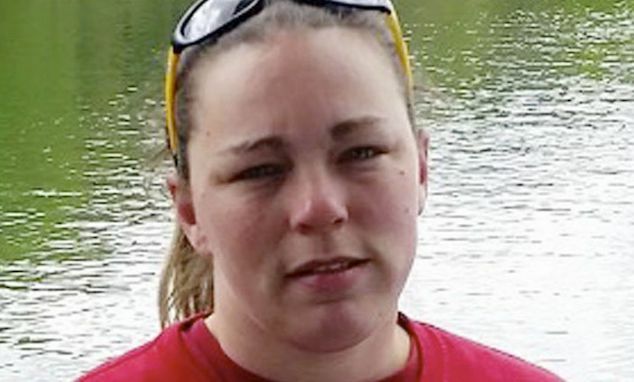 Karaguleff said that Gabe’s fellow classmates were seen to ‘step over, point, mock, nudge, kick, etc.’ him until McKenzie was seen rushing into the restroom where he found the boy. 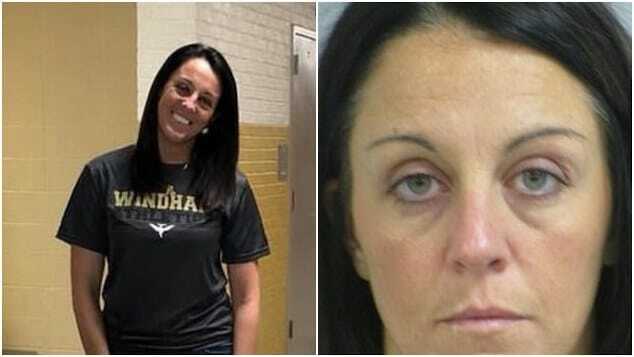 Despite the attack by young boys on a fellow student, the detective’s report concluded that the school could handle the issue without their involvement. The investigation was closed. Hamilton County Coroner Lakshmi Sammarco come Thursday said her office was reopening the investigation into Gabriel Taye’s death to determine whether the eight year old’s suicide resulted from possible bullying and should be ruled a homicide. In turn, Branch challenged CPS’s claims, disputing that the school nurse had urged Gabe’s mother to take the child to the hospital. Reiterated Branch, ‘There needs to be a lot more response in that school to what is going on and the parents need to know what’s going on. I think that’s a very big component’. 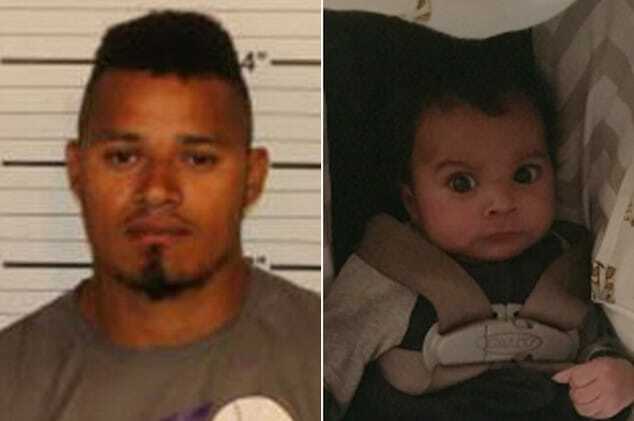 Cincinnati police release Thursday acknowledged that it investigated Gabriel’s death on Jan. 26, but it said it would not be appropriate to comment at this time. 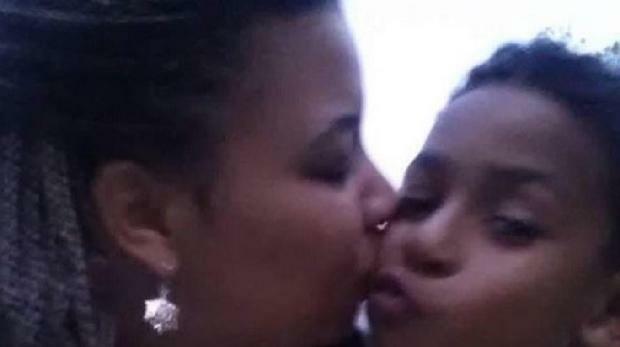 Surveillance footage showed Gabriel Taye being beaten unconscious in the boy’s bathroom. Gabriel Taye won’t have a chance to become anything he wanted cuz the abuse/bullying was too much for his heart/mind to manage. 8-years-old. 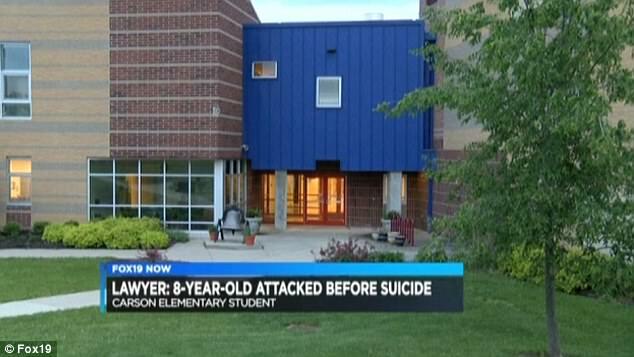 @OHPressSec 8-year-old boys like Gabriel Taye don’t just go around committing suicide 2 days. It’s not normal. Bully injured Taye’s brain! @OHPressSec Gabriel Taye didn’t have to die. 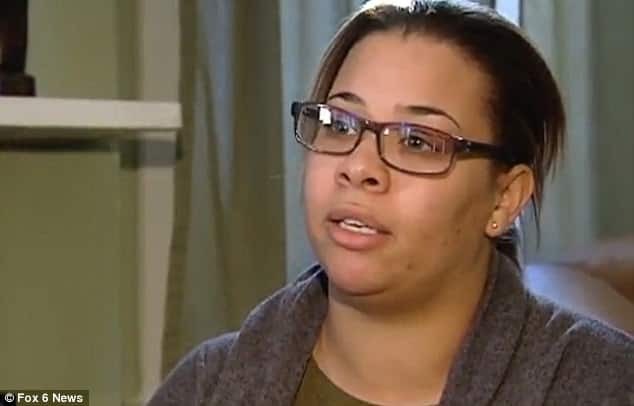 The school officials worried more about covering their own asses than they did saving an boy.